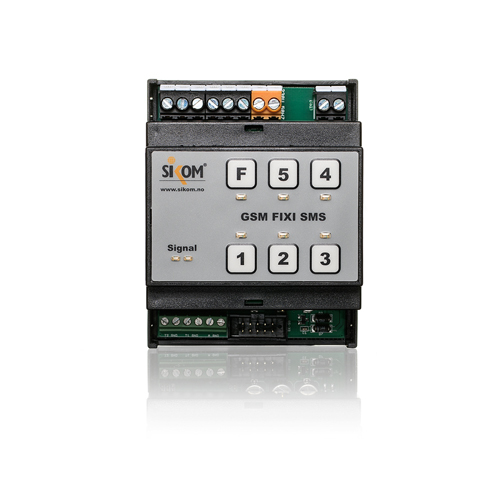 GSM Fixi SMS is our bestselling control unit for installation in fuse box. With 2 inbuilt 16A relays, 2 ports for temperature sensors, inbuilt battery for power failure warnings and 1 alarm port this unit is all you need for a wide range of installations. Sikom GSM Mini is our Plug & Play solution for simple control purposes. 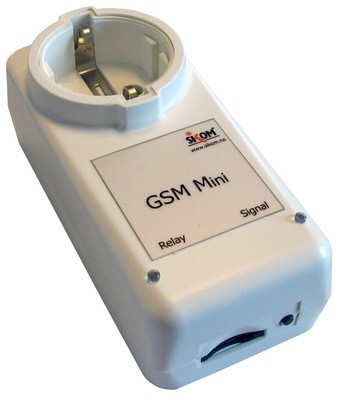 GSM Mini is used to remotely activate heating as well as controlling industrial appliances. The unit can control up to 8 wireless electrical outlets by radio, making it your simplest and most reliable option if you want to control appliances such as heaters.